99.9% of Auctioneers who are called upon to deliver an Appraisal Report do not deliver a USPAP compliant Appraisal Report. 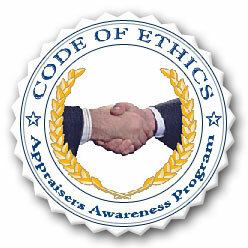 That means the ethics and reporting of values in a USPAP compliant format are not prevelant. Therefore, the appraisal value will not hold up to scrutiny with the IRS, CPAs, courts, lenders, attorneys and others! What Sets Us Apart From All Of The Others? When it comes to equipment appraisal, you certainly don't want someone with a clipboard guessing at values. You'll discover within the pages of our website why a CMEA (Certified Machinery & Equipment Appraiser), is your best solution. It is important for you to know that the equipment appraiser you assign to the scope of work you need performed, has the knowledge, experience, ethics, and certification to provide you with a "Certified" Machinery & Equipment Appraisal Report.